The best thing about this recipe is you can make a massive batch, cook the rolls you want and then freeze the rest. The second best thing is that you can make a smaller batch using leftovers so have a poke around your fridge and get baking! 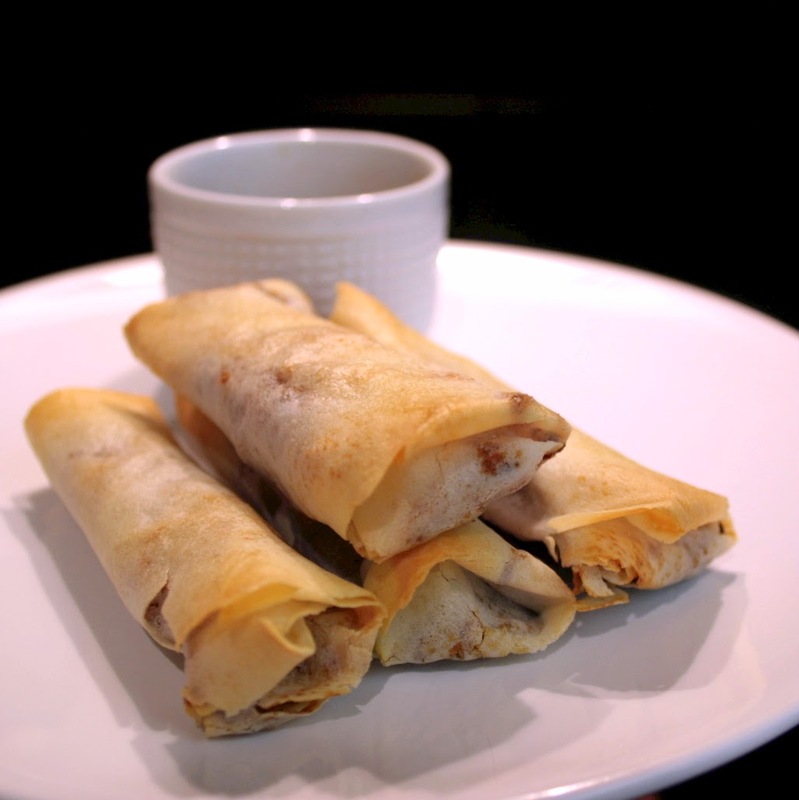 If you have frozen spring roll wrappers, take them out of the freezer before you start making the filling. Slice and dice all of the veggies. 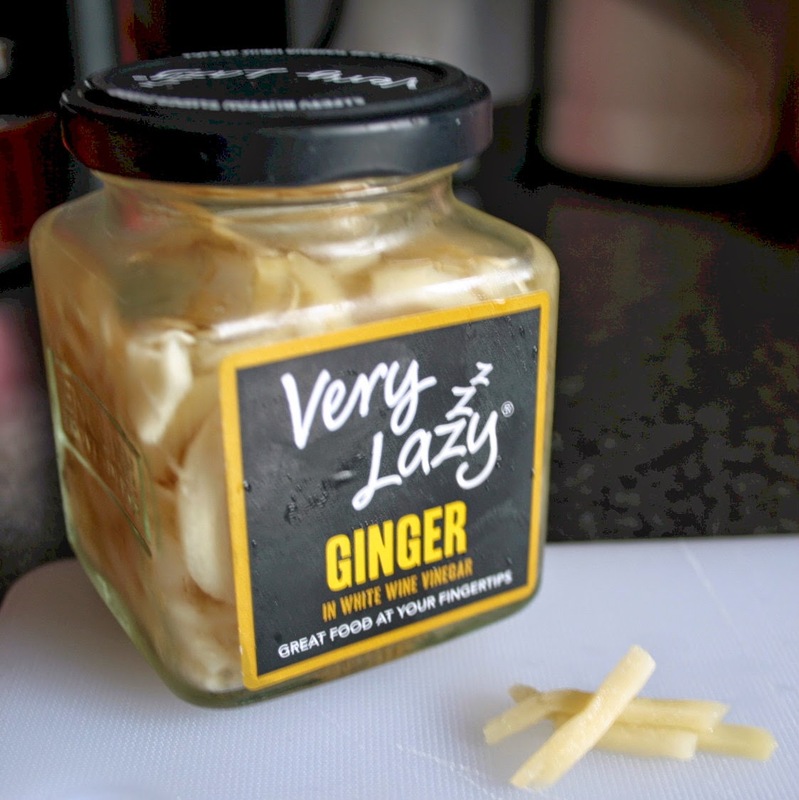 As I was using the veg that I had in my fridge I didn't want to go out and buy a whole chunk of ginger but used this stuff - "Very Lazy Ginger". Yes, it is lazy BUT it is in white wine vinegar so has an almost pickled flavour. Normal non-lazy ginger can be used instead! In olive oil, soften the onion then add the garlic and ginger. Don't let the garlic fry for too long otherwise it will brown and taste bitter! Add the carrots, cook for a minute or two then add the mushrooms and cabbage. After another minute or two add the water chestnut and coriander. 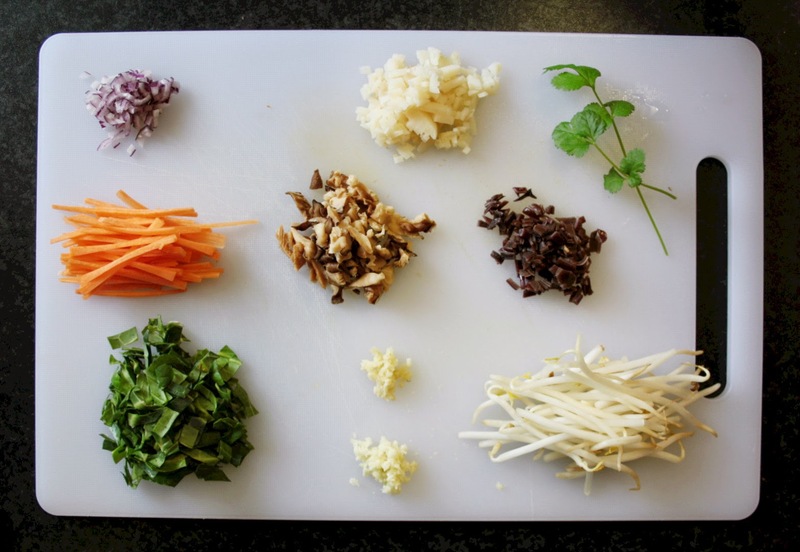 Keep the veg on a low heat and mix in the mushroom sauce, Chinese five spice and sesame oil. Take off the heat and allow to cool until you are able to handle the filling. 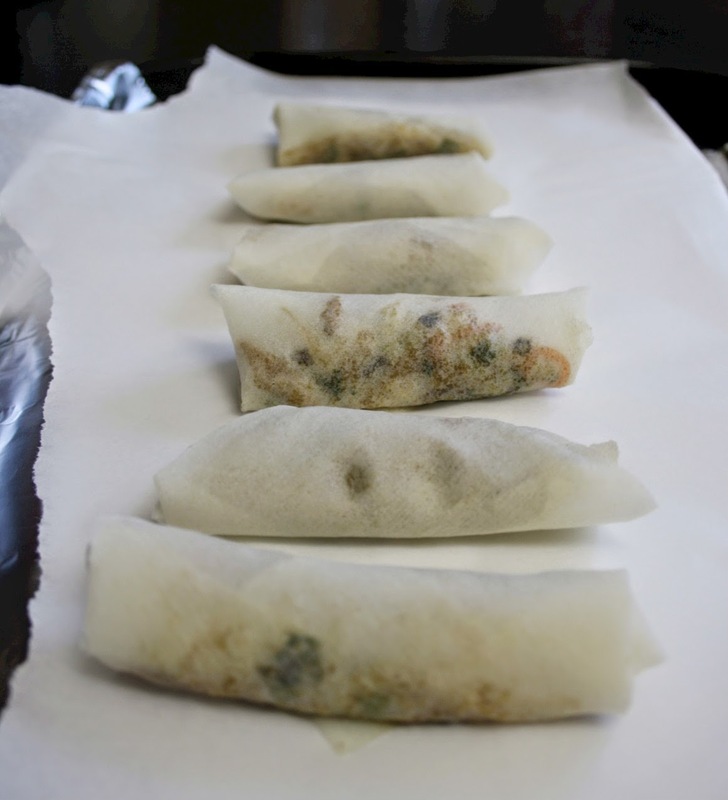 Use about a tablespoon of filling for each roll. 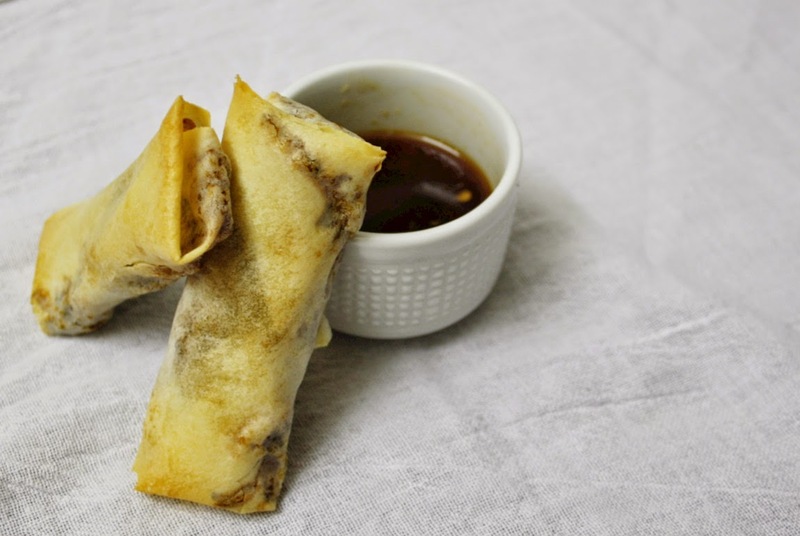 Keep any unused spring rolls under a damp cloth while you're rolling otherwise they will dry out and you won't be able to roll them. 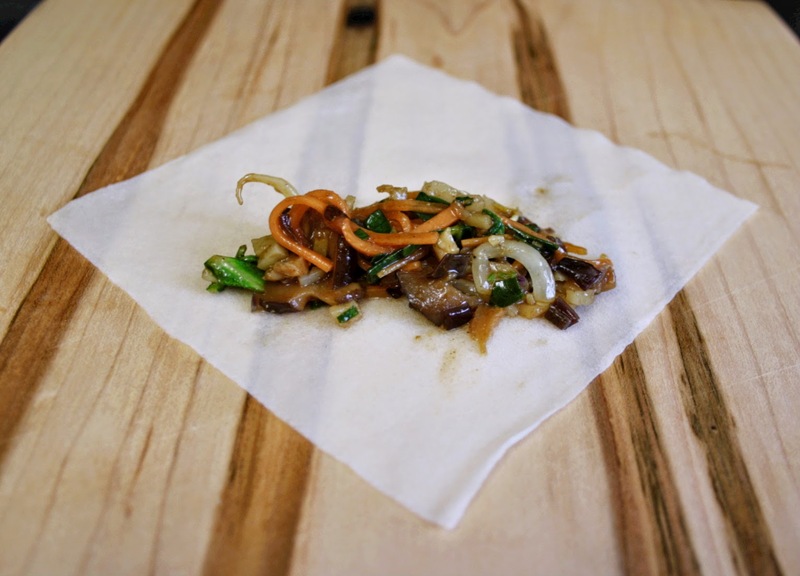 When get to the last step of rolling, brush the edges of the wrapper with egg white and then continue rolling. Place the rolls on a baking sheet lined with greaseproof paper and bake for about 15 minutes or until crispy and golden. Serve with your favourite dipping sauce - I make one using a tablespoon of sweet chilli sauce, a teaspoon of soy sauce and a splash of sesame oil. If you are making a large batch they will freeze really well - freeze before baking and then defrost before baking.